While the original design of the Magnepan MMG harkens back to 1969, Klipsch goes back even further, to 1946, when it took a unique path for high-performance speaker design: the loaded horn. 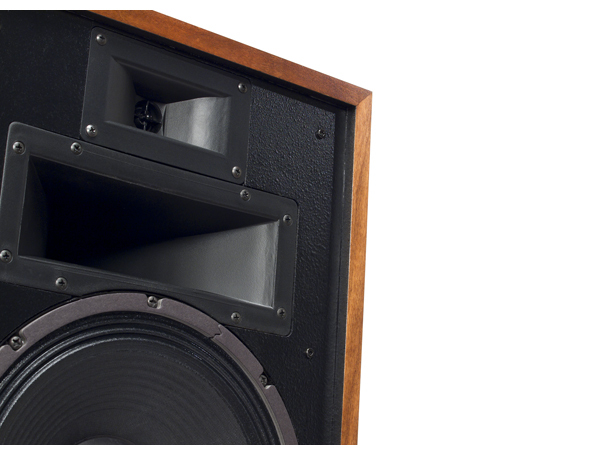 Beginning with the legendary Klipschorn—inspired by large horn speakers used in theaters—Klipsch utilized horn-loaded compression drivers for the midrange and tweeters, along with a folded horn for the woofer. Originally introduced in 1957 to be used as a third channel for the era’s three-channel recordings, the speaker was initially deemed “heresy” by critics that viewed it as a violation of designer Paul Klipsh’s fully horn-loaded design. Legend has it that such reactions led to the speaker’s name. 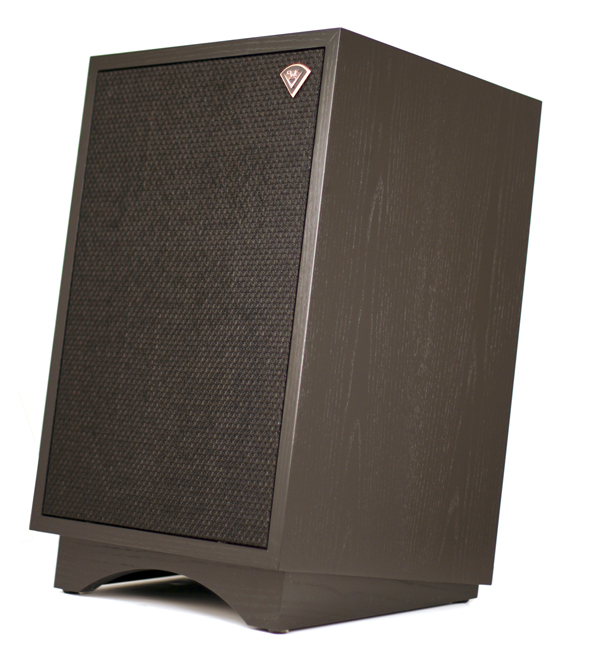 Unlike the gigantic Klipschorn, the Heresy III uses a more traditional direct-radiating 12-inch woofer and a much more compact box. At only 24 inches tall, 15 inches wide, and 13 inches deep, the Heresy III packs a wallop. It’s intended to be placed close to the rear wall, as to not intrude on your listening space. Note: When I began this review, the Heresy IIIs were $749 each, just falling within the cost parameters of our all-budget issue. 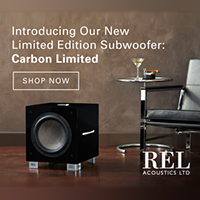 But now that every speaker is custom produced to order in Cherry, Walnut, or Black Ash veneer (all requiring a 3-4 week waiting period), the price has risen to $799 each. So, yes, we are making a slight exception. 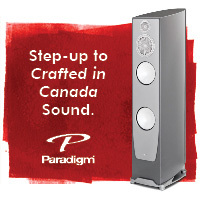 But where else can you get a custom-produced, hand-built, US-made pair of speakers for such dough? By such criteria alone, the Heresy III qualifies as one of the best values in speakers today. The Heresy IIIs are ready to roll the minute you unpack them. After investigating numerous placement options, I advise sticking with the factory’s suggestion of placing the speakers close to the rear wall (a foot or less is great). However, I felt that corner loading was a bit much, as it made for whumpy bass. 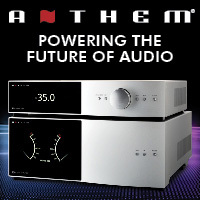 The spec sheet claims a frequency response of +/-3db from 58Hz-20kHz, yet a cursory listen to test tones revealed solid bass output between 45 and 50Hz. 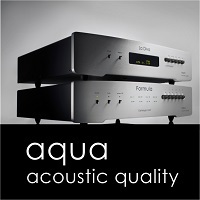 Thanks to a 99db sensitivity rating, you can use the Heresys with any amplifier. Just like I did with all of the other speakers reviewed in this budget issue, I started my listening with a stack of 70s receivers. The Heresy IIIs proved an amazing match with them all, offering much better sound than you would expect from such minimal investment. 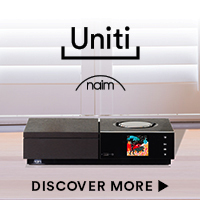 The best pairing came with a mint NAD 3020A that just received a full refurbishment at NAD. 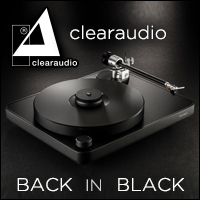 How apt: Many an audiophile started their journey with the 3020A. 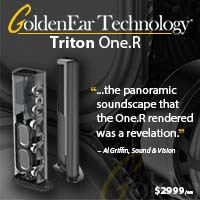 Its high-current design offered a level of resolution that the other receivers couldn’t match, and yet it can be obtained for under $200. Audiophiles might not expect a pair of box speakers placed low and close to the wall to offer up any kind of substantial imaging, but the Heresy IIIs defy convention. 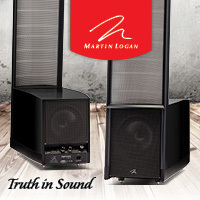 The soundstage extended well beyond the speaker boundaries, while a generous helping of vertical dispersion added to the experience. While the Heresy IIIs use a horn midrange and tweeter, they don’t have the “honk” that accompanies most horn-loaded speakers. 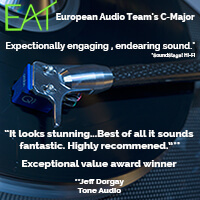 The mids and high ends are smooth, with drivers blending in a seamless, coherent manner. 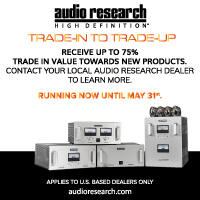 They will make your favorite vintage solid-state receiver sound much better than you ever thought it could while your choice low-powered tube amplifier (current or vintage) will redefine budget audio fun. 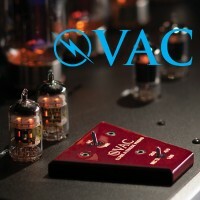 In the end, my choices centered on the Woo Audio WA6 and the Conrad Johnson MV 50A1 recently rebuilt at the CJ factory. 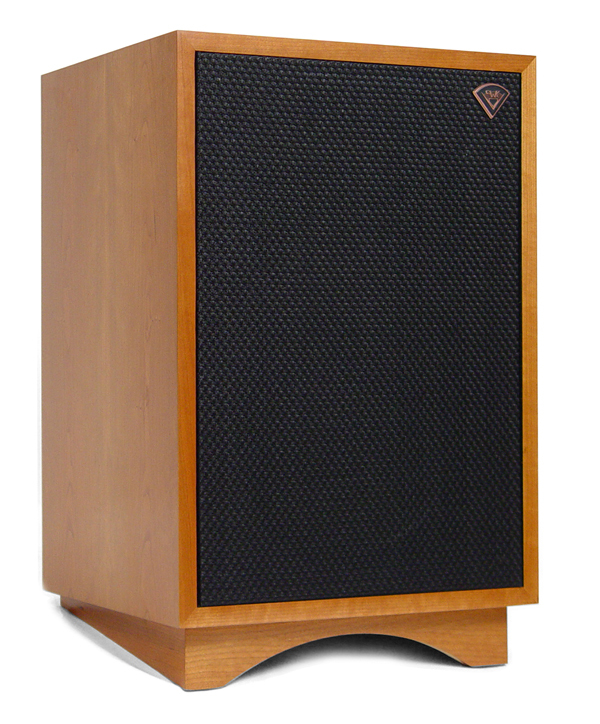 The SET amplifier yielded a slightly larger three-dimensional presentation, but the CJ had both more extension at the frequency extremes and a more palpable midrange. Both models drove the Heresy IIIs louder than I needed. Time spent with the Dynaco Stereo 70 and PAS 3 preamplifier also made for highly enjoyable encounters. The Heresy IIIs offer up a very natural sound. Still, the one aspect that’s usually missing from a low-budget system is the ability to play loud and clean. As the polar opposites of the Magnepan MMGs—which possess a seamless midrange presentation but can’t really rock—the Heresy IIIs give up a little bit of coherence yet have the capacity to play heavy duty rock and roll at reasonable levels. I couldn’t even think about spinning SunnO))) at anything above a whisper on the Magnepans. And the small woofers in the otherwise excellent Paradigm Millenia Ones can’t move enough air to get the job done. But on the Heresy IIIs, I wasn’t three minutes into “Etna” and my neighbors were already throwing things over the fence. Next time, I better close the door. 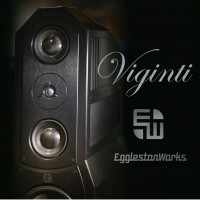 Subsequent metal explorations left me with the same conclusion: These speakers can really rock without any of the compression that occurs with a less-efficient speaker that’s mated to a modest power amplifier. 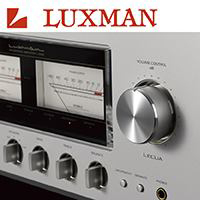 Playing 99db speakers with a 40-watt-per-channel tube amplifier (and its warm distortion characteristics) is like having 1000 watts per channel on tap for 89db speakers. Because the Heresy IIIs play so loud and cleanly, they actually pose a slight threat to your hearing. After an hour of Ozzy and Dio classics, I noticed a slight buzz in my ears. So proceed with caution if you buy a pair. Just as a high-powered amplifier can make moderately efficient speakers light up, the same holds for high-efficiency speakers. They take the burden away from your amplifier and no matter what music you enjoy, deliver an ease that you just can’t get from a pair of mini monitors. Another side benefit? The Heresy IIIs can play at low volume levels and retain their resolution. Even if you aren’t a metalhead, you’ll be surprised at how lifelike acoustic and vocal records sound, even at soft volumes. Plus, the Heresy IIIs are as linear as they are dynamic. When listening to complex music, the speakers did not lose their poise; they transmitted fine details at every volume level. The Klipsch Heresy IIIs constitute a consummate blend of vintage and modern sound in a package that’s easy to drive and effortless to integrate into your listening room. 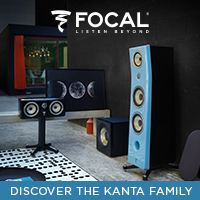 No matter where you are on your hi-fi journey, these speakers provide a constantly engaging and truly thrilling musical experience. 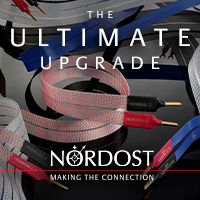 And, considering they are built with care by one of hi-fi’s true pioneers, you can’t go wrong. After living with the Heresy IIIs for several months and listening to a wide range of music, I found no blatant shortcomings—especially considering the price. Sure, I’d love to see them made out of solid wood like they were in the 50s, and some better binding posts would be nice. But these accoutrements would add to the cost and don’t affect the sound. One of the secrets to any good loudspeaker at any price is its ability to convey natural reproduction of the critical mid frequencies. The Heresy IIIs handle this job better than most competitors, and by adding a huge dynamics at well under $2,000/pair, they’re an unqualified success. I know this much: I need a pair.